AudioField is an advanced sound recording application that produces high quality recordings and provides basic editing tools. It is designed for businessmen, reporters, students, tutors, sound engineers, and anyone else who needs to manage and share voice memos with simplicity. AudioField encodes "on the fly" while the audio is being recorded, meaning that it converts a raw data stream into a format in real time. This speed ups the process of creating an audio file, and also allows you to pause your recording at any time, notwithstanding the format. Record directly into MP3, AAC (.m4a), PCM (.wav) and AMR (.3gp) formats. Support of bit rates from 32 to 320 kbit/s and sample frequencies from 11 to 48 kHz*. Check the remaining recording time as your switch between different settings. Please note that some of the features may not work depending on your phone's hardware. Remove unwanted portions of sound, etc. 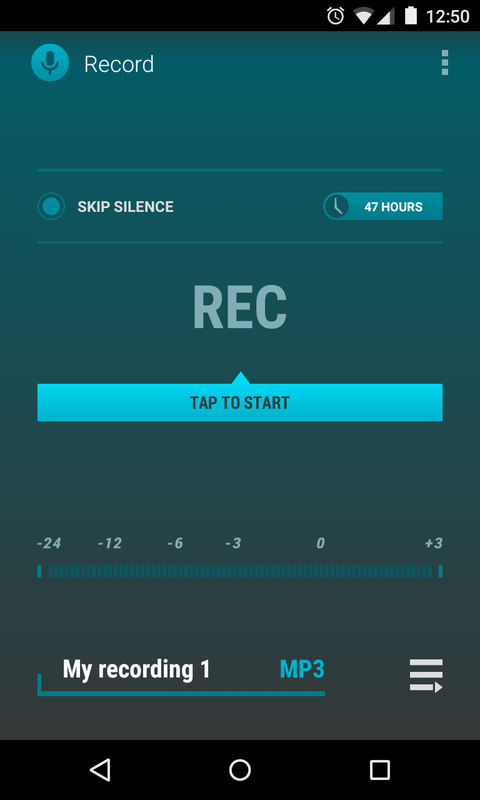 Automatically skip silence during recording, which allows to minimize the size of output files. Recording will continue in the background even with the screen turned off. Name your recordings before, while or after they record. Set the name for all recordings in a session, which automatically stops when you exit the app. 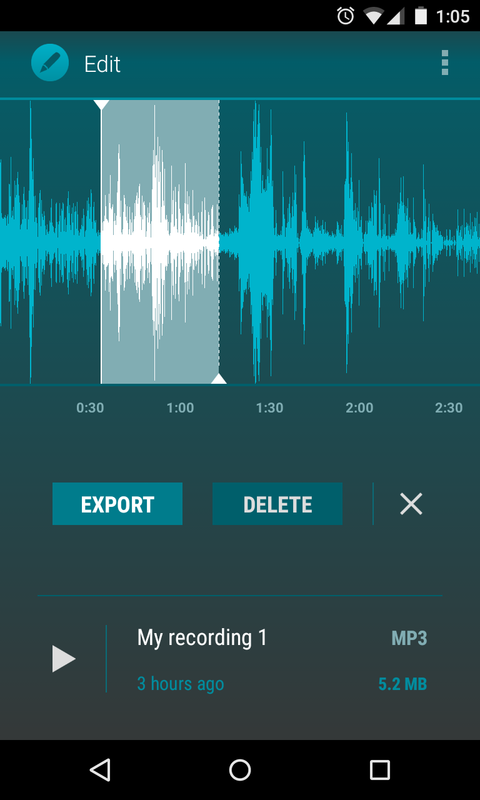 Send or delete multiple recordings at a time. This application is NOT designed to record phone calls. Note that recording a phone call without the knowledge of one or both of the parties is illegal in some countries.